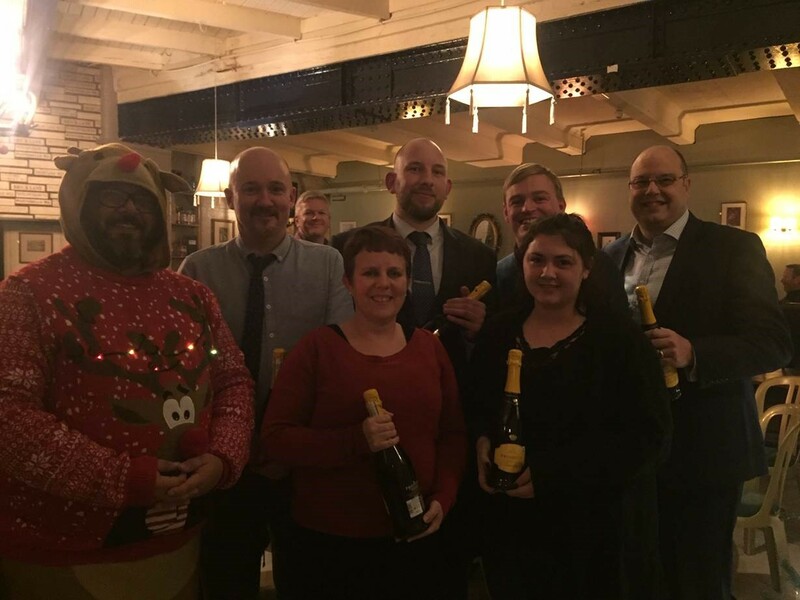 On Tuesday 4 December, Howes Percival hosted its annual Christmas Charity Quiz in Leicester. Held at The Parcel Yard on London Road, 16 teams of players from a variety of Leicestershire businesses all competed and the ‘Westerby Wizards’ from Westerby Group were crowned as winners. The combined brain power of the Westerby team, made up of David Santaney, Nikki Pearman, Kirsten Colwell, George Harvey, Sean Harriman and Leon Gerety, saw them win the title at their first attempt, beating some very strong opposition. The quiz was held to raise money for Howes Percival’s Leicester office’s charity of the year, the Motor Neurone Disease Association and is expected to have raised over £1000 for the charity.